This curved monitor has everything the Predator series offers. It looks stunning and supports NVIDIA G-SYNC and ULMB, and the max vertical refresh rate accelerates from 144 Hz to 200 Hz. The lighting of dark parts may seem a bit uneven. Acer Predator Z35 combines outstanding specifications with nice looks and will be a perfect choice for those appreciating high-quality content and gaming. The thin bezel around the display enlarges the screen. The monitor shows good image quality due to high pixel density. Connectivity options include lots of USB ports. There are no VGA and DVI ports. 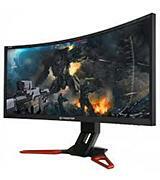 It is a high-quality curved PC monitor model with a big screen size and elegant design. 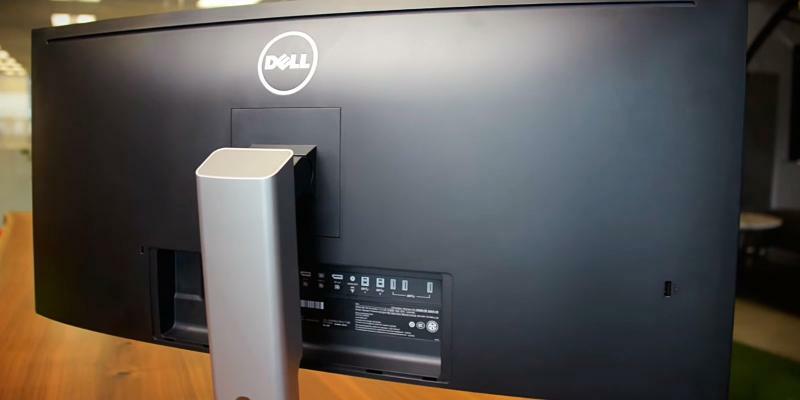 This monitor from Dell can be used for work as well as fun. One of the most comfortable resolution to diagonal ratios. Minimalistic and elegant design make this curved monitor a nice addition to almost any interior. Black is not very vibrant. 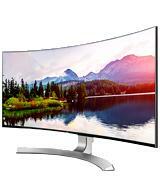 Relatively small diagonal and nice colour rendering specs make this Samsung curved monitor model a top choice for people seeking compact TV for work and entertainment. Game mode allows you to optimize settings of the monitor according to the game genre. 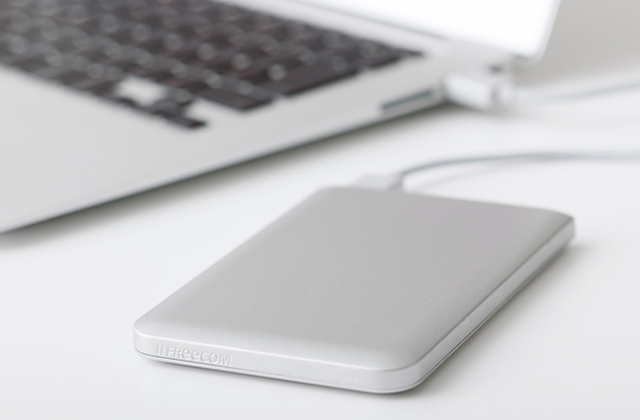 Thanks to Thunderbolt ports, you can read the data from compatible devices at the speed of up to 10Gb/s. The contrast ratio could be somewhat better. Thanks to the wide range of available colours, it is an ideal model for photographers and graphic designers. 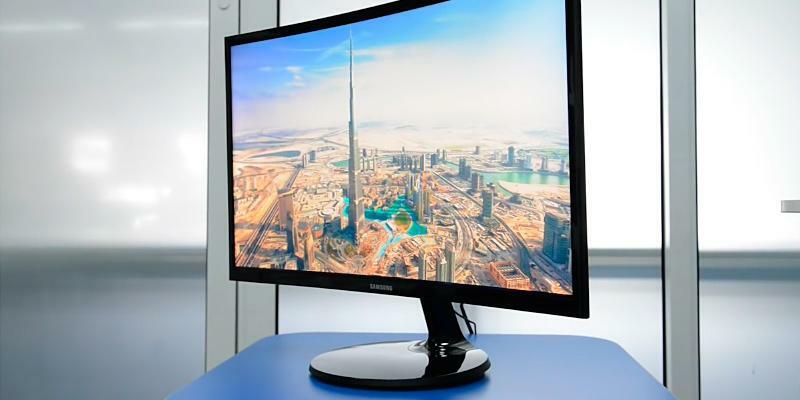 Samsung monitor has highly vibrant image quality. An excellent depth of black colour and a good contrast ratio prevent distortion of colours and provide fantastic image quality. Response time is very impressive. VA panel does not ensure high image quality at various angles. A decent model of the curved monitor which has good image quality. 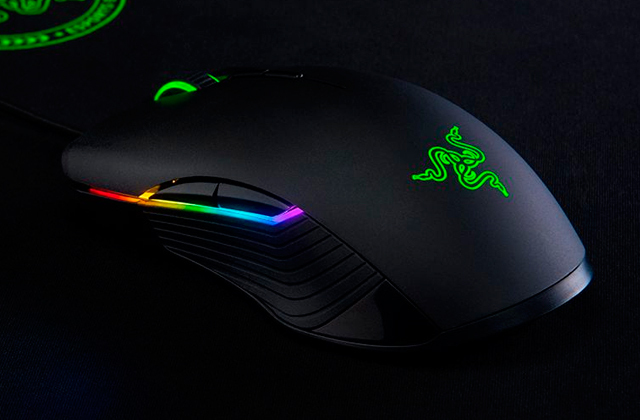 It will be the most suitable for a gamer and for cybersport. 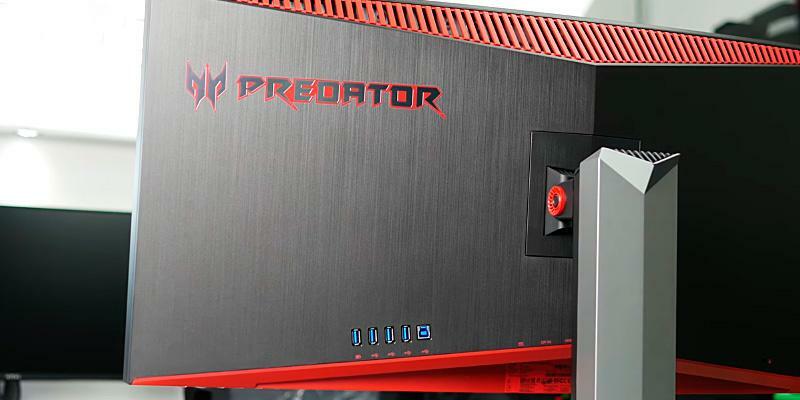 Z35 belongs to the Predator series designed by Acer. The said series is known to be created for the most demanding gamers and those who value the image realism above anything. Each Predator monitor is something else, something new and unimaginable, they are the premium class machines with high-tech components. Acer Predator Z35 is also like that. This 35" curved monitor has an AMVA panel created by AU Optronics well-loved for its deep black shades and overall grasp on the variety of colours and hues. This very panel is what makes the image on Predator Z35 so stunningly live. The brightness of this best curved monitor for PC is 300 cd/m2. Also, we'd like to specifically note the 2000R curvature, a very impressive number. All the above combined, this top curved monitor will help you dive into the image so deep you might lose yourself. Please be careful! 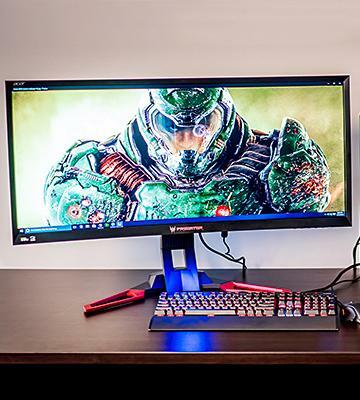 Even if you've never heard of Predator series, you can probably tell at the first glance that Acer Predator Z35 is a gamers monitor. Its black body with red inserts, all straight lines and next to no rounded corners push the image of The Witcher, World of Warcraft, Deus Ex, and Assassin's Creed onto you. The display has a matte anti-gloss finish providing you with the highest quality of image in virtually any lighting conditions. 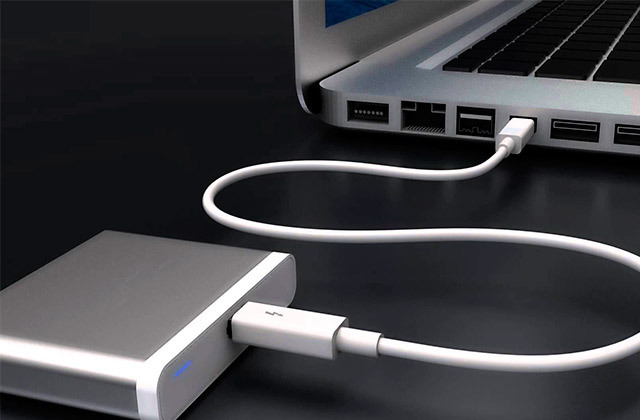 In addition to pretty powerful speakers, there is a number of interfaces including four USB 3.0 ports. The key feature only Z35 boasts is the unimaginable 200 Hz refresh rate. Ant as a cherry on the top, there is NVIDIA G-SYNC technology support which helps overcome possible trembling of the image when you play. A good monitor is a vital element for any avid gamer necessary for bringing out all the potential of your favourite games. 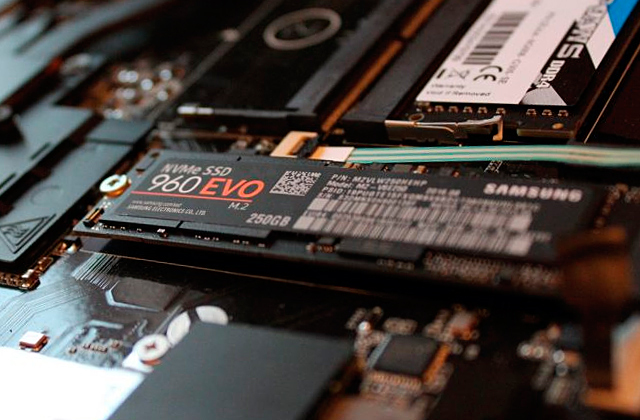 But before you spend a fortune on a monitor remember that to fully exercise its possibilities you will first need a high-quality graphics card. One of the best solutions as of today is EVGA NVIDIA Geforce GTX 1080 Founders Edition GDDR5X Graphics Card. 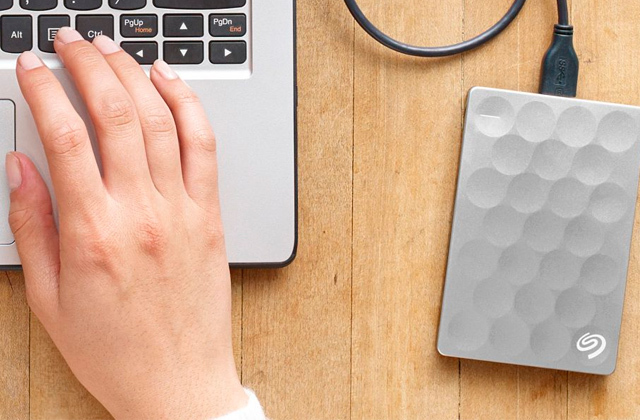 When it comes to design, Dell is a conservative company. In a good way! The UltraSharp series change their looks with time but stay initially recognisable nevertheless. When you look at the U3415W model you see it right away — somehow pragmatic matte plastic, standard Dell black-and-silver finish and stand. You'll immediately know it is a Dell UltraSharp model. At the same time, this model is completely new when it comes to other aspects. 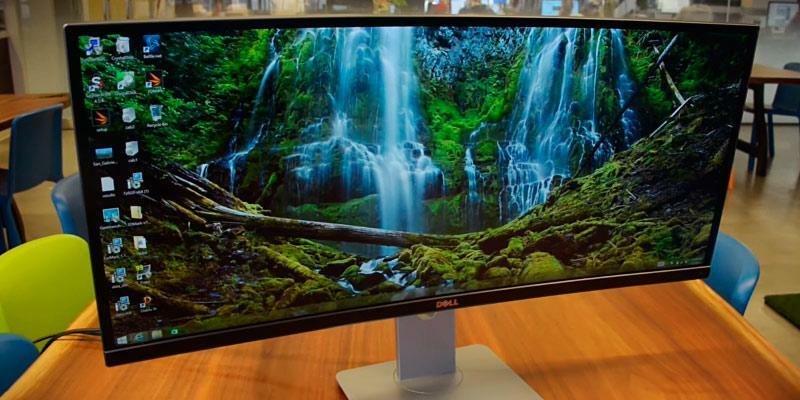 Dell designers have caught the trend for curved frameless monitors and executed it flawlessly without giving away any picture realisticity and clarity. U3415W curved monitor for PC has an IPS panel with WLED lighting by the edges and can easily display 99% of sRGB colour space. By the way, the absence of frames makes it possible to use this curved monitor in multi-screen mode. Just place other frameless monitors next to this one. 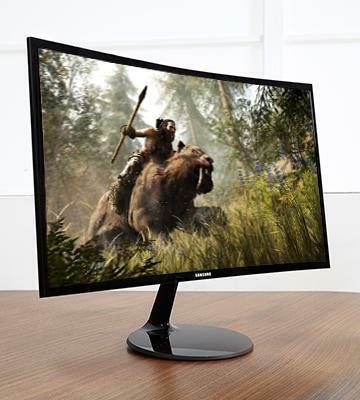 Finally, the 3440x1440 WQHD 21:9 resolution is a sign that this monitor is a full-fledged multimedia centre targeted for the most demanding customers. 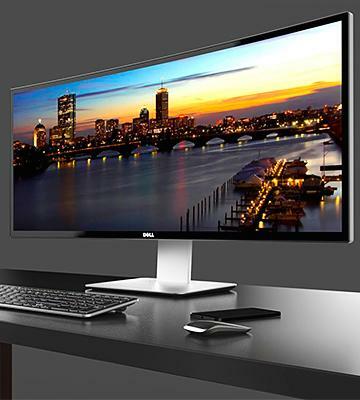 Dell U3415W has everything you might need from a monitor and a little more. Enough to make it not only a possible but one of the best solutions. 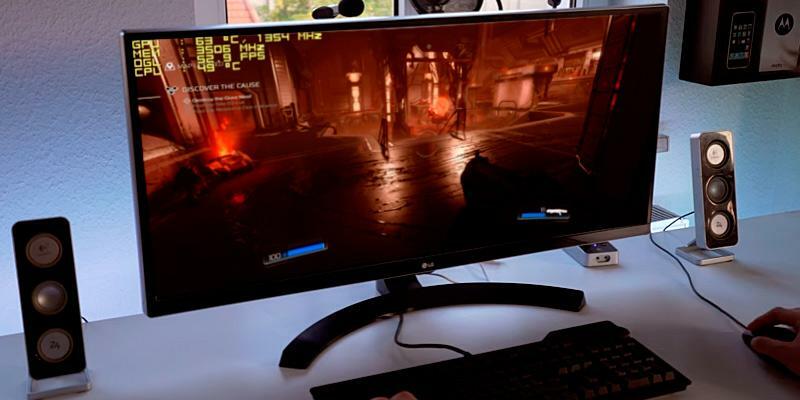 Previous Dell models had the IPS panels with response time best suited for working, whereas this Dell U3415W curved monitor has a mode where you get 5 ms response time good enough to enjoy your favourite action games without distortion. 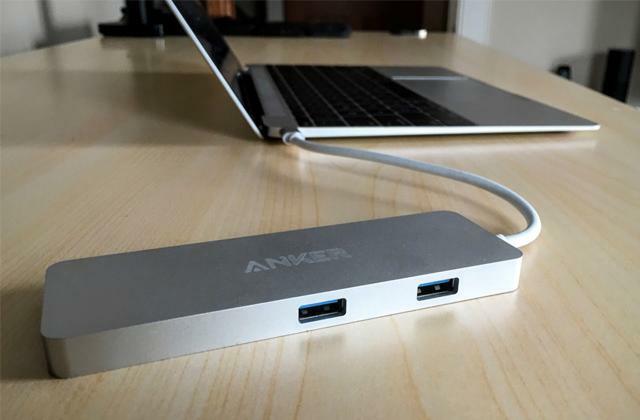 Furthermore, the manufacturer equipped this model with a variety of interfaces: HDMI 2.0, HDMI with MHL 2.0 support, DisplayPort 1.2, Mini-DisplayPort, DisplayPort MST, and USB 3.0 Hi-Speed Hub with 2 USB upstream port and 4 USB downstream ports; the audio out goes without questions, of course. Summing everything up, we can say that Dell U3415W is indeed a premium class curved monitor with top functionality and can handle a wide range of tasks. Dell UltraSharp U3415W is equipped with two built-in speakers with the power of 9 Watts each. This device exceeds the sound power of some modern television sets thereby providing you with loud and high-quality sound. An adjustable stand allows you to pick the best height for your monitor, its tilt and the best angle. The monitor can display video from two computers simultaneously using a single set of keyboard and mouse. 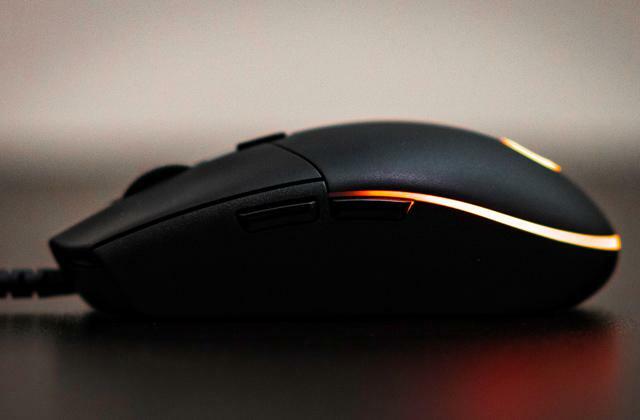 A highly ergonomic mouse will help you complete more tasks with fewer efforts. Sure, Samsung C24F390 is not the biggest screen you can find on the market. So what? Some people lack the space anyway, and this curved monitor still performs on par with some larger models. It is an affordable model to replace your old monitor with something corresponding to the newest tendencies. 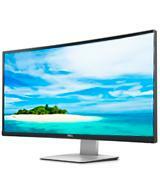 Samsung offers C24F390 in three diagonals — 24", 27", and 32" allowing you to choose what will fit best on your desk. If your computer or laptop has an AMD graphics card, this monitor is one of the best options for you as it supports AMD FreeSync™. 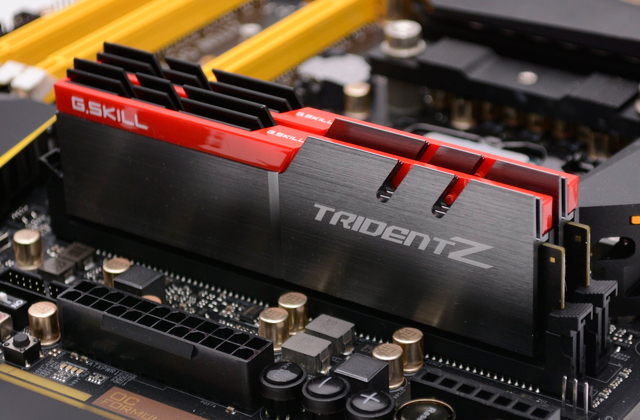 This technology cuts the lagging between the graphics card and the monitor. Samsung C24F390 is an ultrathin curved monitor which nevertheless hides an assortment of solutions for your everyday tasks. The curvature of this monitor is 1800R and it looks elegant and fancy. It won't be the first thing you notice upon entering the room but it will definitely deepen the immersion and increase the enjoyment you get watching movies or playing games. The Full HD 1920x1080 resolution may seem insufficient when compared to some larger models but we assure you it is the perfect decision for a 24" monitor. With a much bigger resolution, you might encounter a problem of shrinking PPI which would affect the picture on the screen. Finally, the 178°/178° viewing angles make the picture clear and bright regardless of your position in the room. Add to the comfort of working with this curved monitor. An ergonomic gaming keyboard will be a nice purchase. Obviously, LG could not stay on the sidelines while curved monitors conquer the world. In LG 34UM88C, you will find the IPS panel with its top-notch colour management and wide viewing angles, but this is not all. Every single of these monitors before appearing on the market goes through precise calibration to offer future owners the best and the truest possible images, 99% of sRGB space. 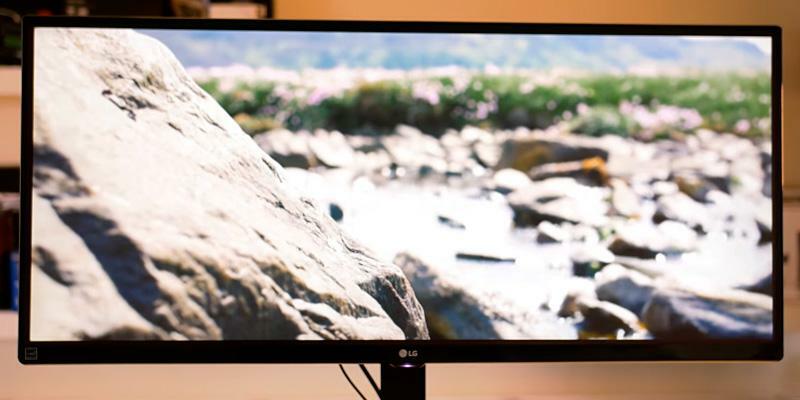 Moreover, LG 34UM88C has large 34" diagonal with 21:9 UWQHD resolution (3440x1440), it will enable you to not only enjoy the content of the highest possible quality but also open a number of applications simultaneously. As a result, you will complete more tasks in much less time. 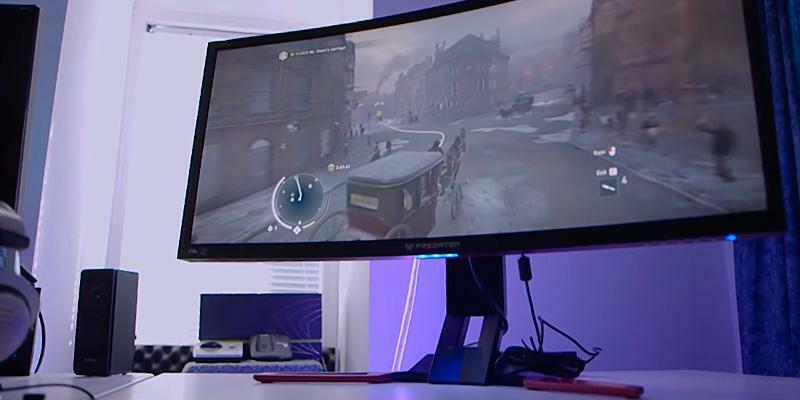 Although this LG curved monitor is astonishingly good for any tasks, there are a couple features aimed at gamers in particular. We are talking about Black Stabilizer and Dynamic Action Sync. These two additions not only make the picture smooth and beautiful but also give you the upper hand against other players. With Black Stabilizer, you will be able to see objects and enemies hidden in the darker parts of the screen, and Dynamic Action Sync limits the lagging in image displaying and therefore provides the maximum image smoothness. 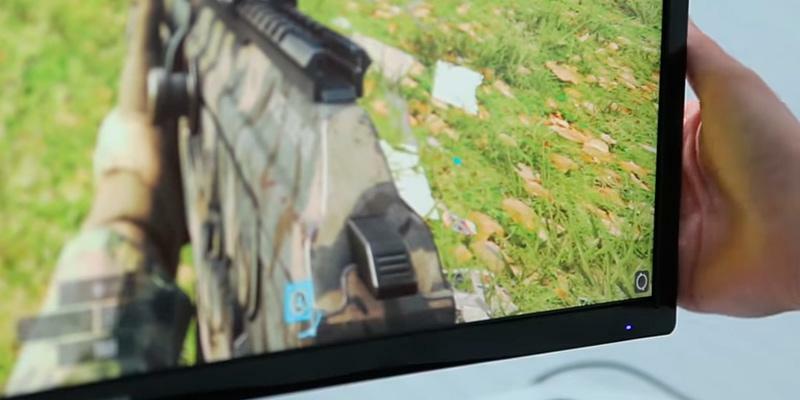 The gaming mode supports FPS, RTS, and custom preset so that you could adjust the monitor according to the game genre. As for the style, here LG decided to take inspiration from nature. The ArcLine style of LG 34UM88C combines shades of grey with smooth lines that highlight the monitor's curvature and minimalistic style. We'd also like to point out that the pseudo-frameless screen is one of the best when it comes to immersion effect. The quality of the image displayed on a screen largely depends on the monitor specs, of course, but let's not disregard the quality cables, too. We recommend you to use the Rankie 1.8m Gold Plated Cable to connect to your LG curved monitor's DisplayPort. Samsung S29E790C boasts best-in-class curvature with an ultra-wide aspect ratio of 21:9, perfect for a widescreen display. The resolution of the monitor is 3440 x 1440 pixels and it provides accurate details of all objects in the image. The screen size is 29 inches, which is ideal for both office and home use. 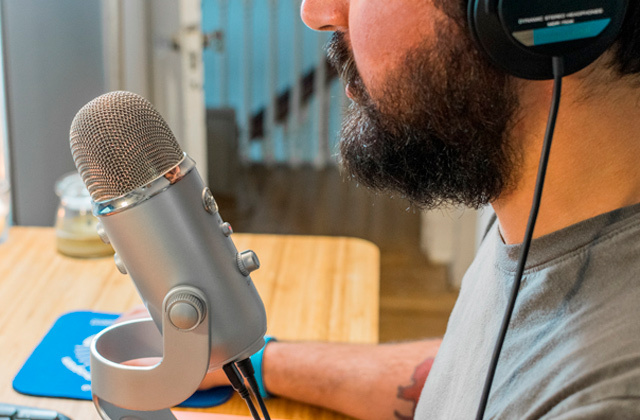 The device not only significantly improves the productivity thanks to an ultra-wide screen but also provides high-quality images regardless of the assigned tasks. The picture quality produced by this curved monitor is good enough. The screen has a VA panel, which is used in almost all models of this type of Samsung monitors. A special feature of this panel is a great depth of black colour, and an excellent contrast ratio of 3000:1. The manufacturer claims the viewing angles are 178° both vertically and horizontally. The brightness level is also high - 300 cd/m². A panel supports 16.7 million colours, and the response time is only 4 ms.
Samsung S29E790C has one VGA port for transmission of an analogue video signal, allowing you to connect it even to relatively old PC models. A single Display Port and two HDMI ports are used for high-quality transmission of a digital signal and they even transmit sound. 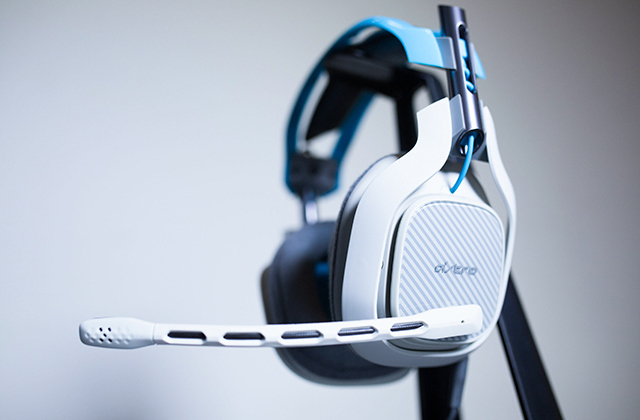 Also, the monitor allows you to connect headphones for a more comfortable use in computer games while listening to music or watching videos. All ports are located on the rear panel. Additional features of this model include a Picture-By-Picture function and PIP 2.0. Thanks to them, the monitor can be connected to more than one computer, providing excellent multitasking; you can now diversify your day by watching your favourite movies and working simultaneously. It is necessary to mention the availability of a game mode which detects a dynamic change in scenes, enhances the colour, and adjusts the contrast for a more realistic image. Also, the monitor is equipped with the Free Technology Flicker that protects your eyes from fatigue, so you can play games, watch movies, or edit photos longer than ever. 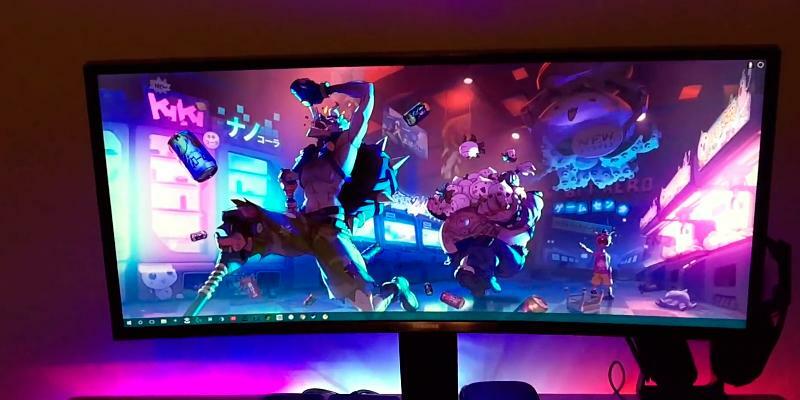 A monitor is an integral part of any desktop computer because it helps us watch video content, enjoy computer games, as well as work and read. Now you can find many different models and modifications of these devices differing from each other in design and performance. 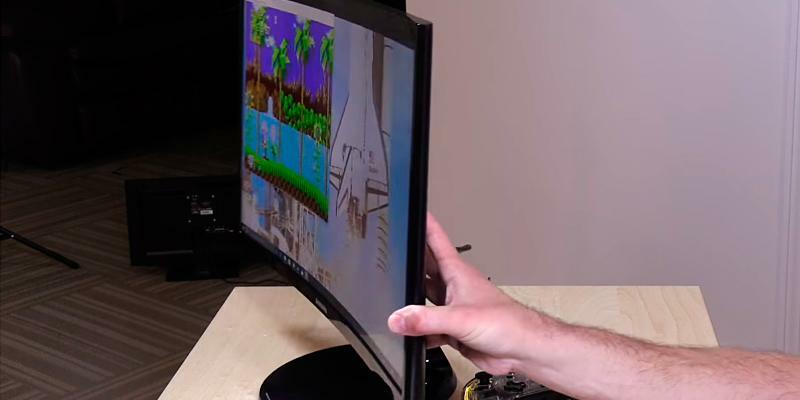 The most popular today are so-called Curved monitors. A curved screen allows you to experience the maximum immersion in the video, to feel the effect of presence. Thanks to its curved panel, it creates a wider field of view than conventional flat monitors do, which allows our eyes to focus faster from the centre to the edges of the video, reducing stress on our eyes. 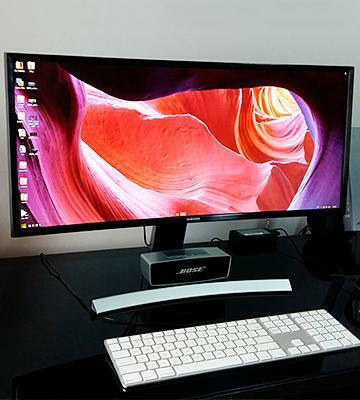 If for some reason you do not like the curved shape of such monitors, we recommend you to pay attention to conventional computer monitors or touchscreen monitors. But now let's review the top 5 Curved Monitors. First of all, pay attention to the Screen Features. You need to pick a screen size, i.e. a diagonal. We sit closer to the monitors than we do to TVs, therefore "the bigger the better" rule is not exactly applicable here. Curved monitors usually have diagonals from 27 to 34 inches. Monitors that have a diagonal from 27 to 29 inches are best suited for use at a 50-80 cm distance from your eyes. As for curved monitors over 29 inches, they are ideally suited for professional use, for example, in design or project development. Another parameter necessary to consider is the screen resolution. 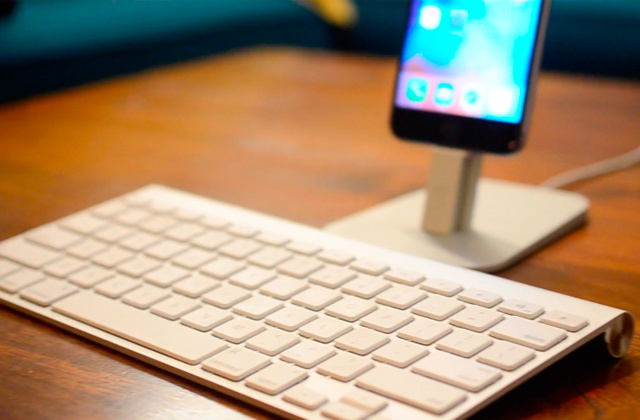 This feature defines the number of pixels on the monitor screen, vertically and horizontally. Also, it is responsible for a detailed display of objects on the screen. 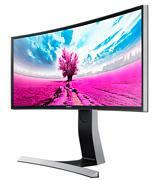 Curved Monitor Resolution can be Full HD (1920x1080 pixels) and Ultra HD (3440x1440 pixels). 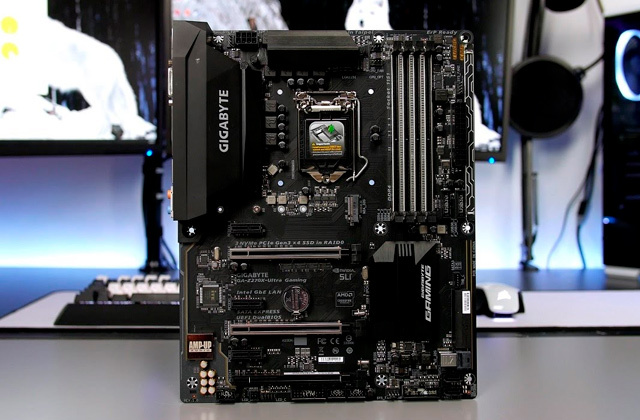 Choosing a monitor with a maximum resolution, you should take into account the power and performance of a video card (or GPU) since it affects image quality. Also, one of the main features of any screen, which impacts the image format, it is the aspect ratio. All monitors have a curved widescreen aspect ratio that varies from 16: 9 to 21: 9, which provides a uniform extension and optimal picture quality. Once you have decided on all the screen features, pay attention to the Type of Panel. The Curved monitors usually use IPS and MVA / PVA. The advantages of IPS matrices are great viewing angles and a good response time. As for the MVA and PVA, they boast a great depth of black colour and excellent contrast. Then, you should consider a refresh rate that affects image quality during fast action movies and games. The higher this rate is, the more stable and the clearer the picture is. A further important aspect is the response time during which the image changes its brightness. Usually, it ranges from 2 to 5 ms. Too long response time will cause blurring of a dynamic image. The important feature of the panel is a static contrast ratio, which is the ratio of the brightest point of the screen to the darkest. This implies that the contrast is set to the brightness of the image, taking into account the level of black. The standard static contrast ratio is 3000: 1 and higher. An important indicator is also the colour support that is responsible for the colour scheme. This indicator reaches 1,074 billion on the top models of curved monitors. the last but not least parameter that determines the quality of the panel is a viewing angle. That is the minimum angle you take your eyes off the monitor when the image on the screen starts losing its contrast and the colours get distorted. In other words, the larger a viewing angle, the better. A good monitor should show 178° both vertically and horizontally. Next, you should consider the Connectivity Options of every curved monitor. 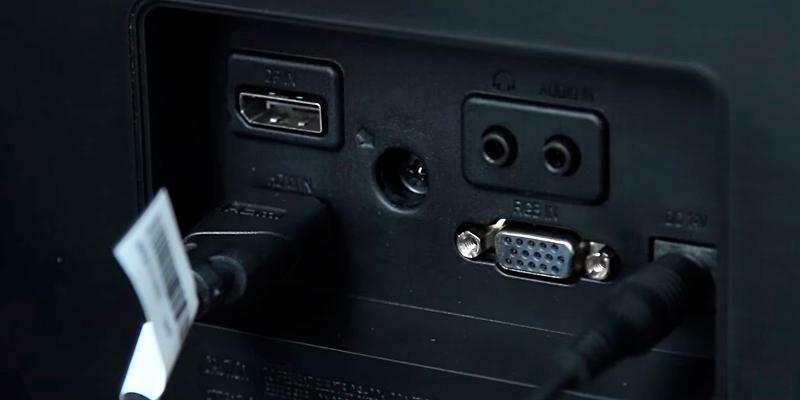 It is necessary to consider what video ports are present in the monitor, as well as their number because it affects the quality of the transmitted signal and image sources you can connect to the monitor at the same time. Let's start with the VGA port. Since it is one of the oldest types of analogue connection, its poor side is a poor image transmission. A DVI port is used in almost all models of monitors that provide a good quality of the transmitted video. HDMI port allows you to transfer high-quality video and audio through a single cable. A modern curved monitor must have a DisplayPort, the most progressive of all the ports described above, which provides the most high-quality video and audio transmission. Beyond the usual ports, the monitor might include one or several USB ports. In the most advanced models, you can play media content from external media devices using a USB port. In some models, there is even a USB hub, which is very useful because you do not need to reach directly for PC unit itself. And the last thing to look for when choosing a curved monitor is its Additional Features. Now, apart from displaying video, many curved monitors can also play sounds. Usually, speakers are placed inside the lower part of the monitor. The sound output can reach up to 9W per each speaker, which is not bad at all considering their compact size. 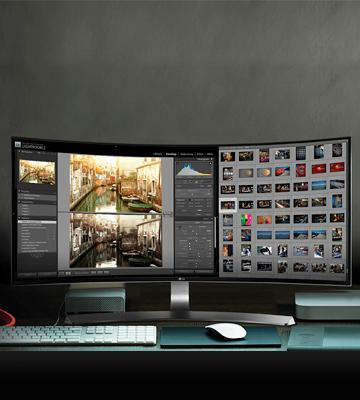 An interesting feature of the curved monitor is the availability of so-called Picture-by-Picture function, which allows to simultaneously connect two computers to a single monitor and the screen will be divided into two parts. Also, curved monitors can be equipped with a PIP function which is responsible for multitasking. It enables you to watch your favourite movies and videos while working with spreadsheets and office programs. It can be an additional advantage if the monitor includes a flicker-free function. It allows you to work with a text for a long time without serious damage to your eyes. In conclusion, it should be mentioned that some curved ergonomic monitors have VESA mount support, which means they can be attached to a wall. Moreover, they can be equipped with an adjustable stand that allows you to select a comfortable angle and height of the screen. 1. 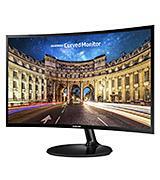 Why Would You Want a Curved TV or Computer Monitor? How-To Geek. 2. John R. Delaney How to Choose the Right Monitor for Gaming, PCMag. March 2, 2015. 3. Curved screen, Wikipedia. November 13, 2016. 4. Jeremy Laird Why Curved Monitors Aren’t So Crazy, Rock, Raper, Shotgun. June 25, 2015. 5. Tom Why Choose a Curved Monitor? Samsung. April 27, 2016. 6. Casey Johnston The flat-out truth on curved TVs, Ars Technica. January 13, 2014. 7. Scott Kramer Curve Appeal: Why Curved-Screen Monitors Make More Sense Than Curved TV's, Forbes. June 25, 2015. 8. 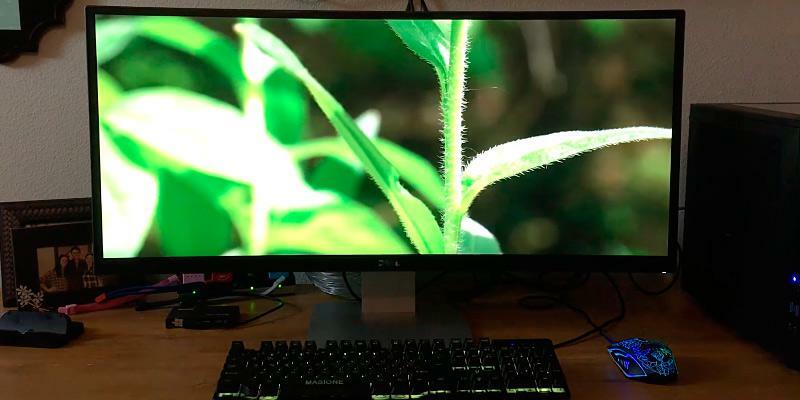 Paul Teich Is an Ultrawide Curved Monitor Right for Your Home Office? medium.com. December 17, 2015. 9. Wes Fenlon Fad check: does anyone actually want a curved monitor? PC Gamer. January 9, 2016.